Tanya Ward is former high school Geography Teacher. She is a certified urban planner (AICP) and has a certificate in Community Real Estate Development (CRED). Previous work experiences included positions in London, UK, Barbados and St. Thomas, US Virgin Islands. 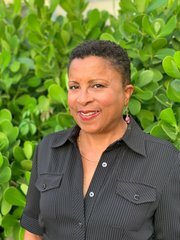 Since 2006, Tanya has worked in the field of Community Development and Affordable Housing programs in Broward, Miami-Dade and Palm Beach counties with public, private and non-profit agencies. Tanya is extremely patient, diligent and detail-oriented, skills needed for all types of real estate transactions!